See the Utah Milky Way for the first time. 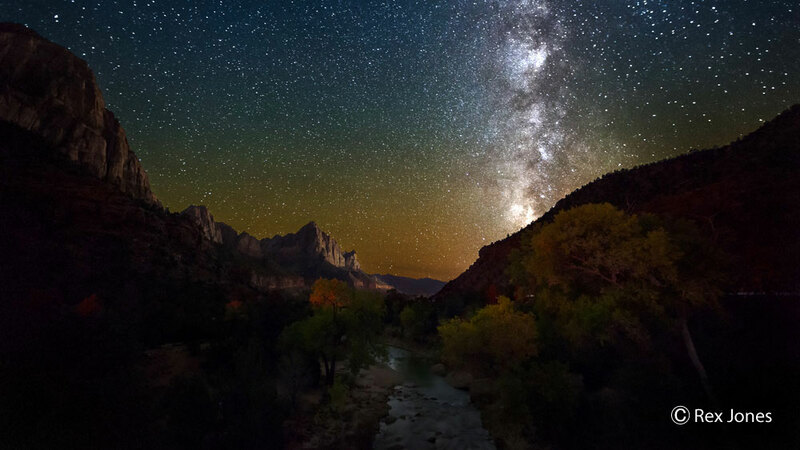 Zion Ponderosa Ranch Resort sits at 6,500 feet in elevation on a forested plateau above Zion National Park, far away from the light pollution of towns and cities, enabling our guests to have brilliant views of the distant planets, stars, and the milky way. Our knowledgeable guides will help you learn about constellations as you gaze at the crystal-clear night sky. Spring & Fall: Weekends only. After Dark. Check for times at recreation barn.